One thing I discovered as my kids got older is there are a lot of toys for the first year of a baby's life that really don't grow with them. One of the biggest places I have noticed this is with bath toys. 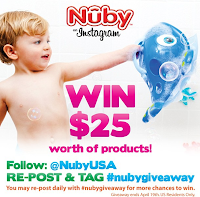 That is what I like about the Nuby fish swoosh bath toy. Though it is rated for ages 18 months and above, parts of it really can be used from the beginning. 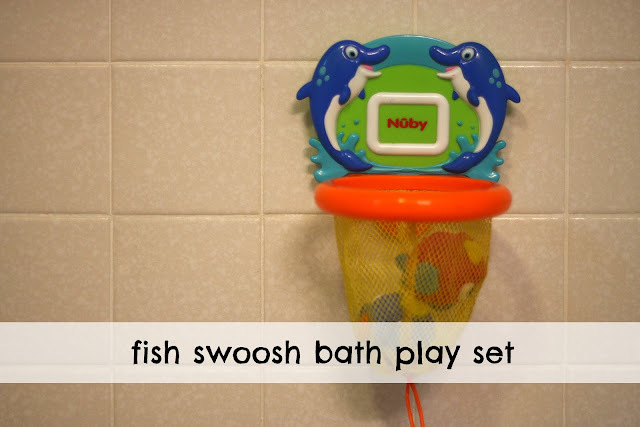 You see, not only does the fish swoosh bath toy come with a net, it comes with three fish balls that also squirt water. 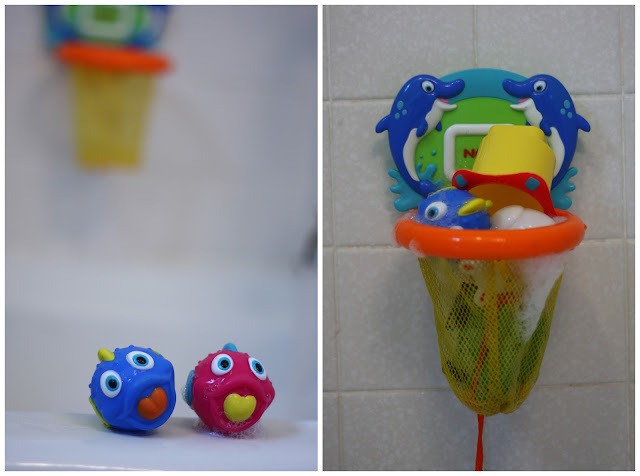 No matter what age your baby is, the fish balls are fun to play with. And once baby is older, they are even more fun to play with! Connor loves squirting them. Isla has yet to figure out they squirt. And both kids like putting them in the net. The net can be opened or cinched closed. Connor seems to have fun filling it with toys, then opening it and letting the toys dump out. And we have discovered that the net is big enough to handle more than the fish balls. Both trains and duckies fit well in it too! The Nuby fish swoosh bath toy is available for purchase at BuyBabyDirect for $12.99. I always love your pictures! My daughter has the same bath toy. It's a big hit!